(24 reviews) Write a review! Flex, Lie Angle, Shaft will change. 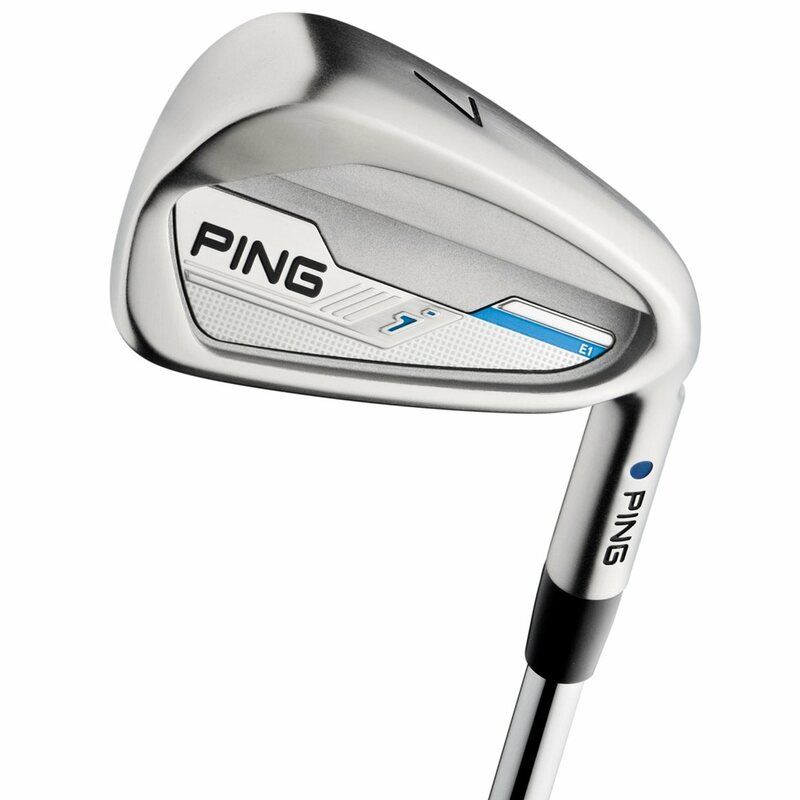 The PING i Series iron set is designed using 431 stainless steel, which offers high strength to weight ratio and a softer feel. The head design of the i irons deliver workability and trajectory control with just the right amount of forgiveness. The lengths and lofts are optimized to increase distance with proper gapping which results in a players style iron with a high MOI and a clean look. The length listed is for the 6 iron. 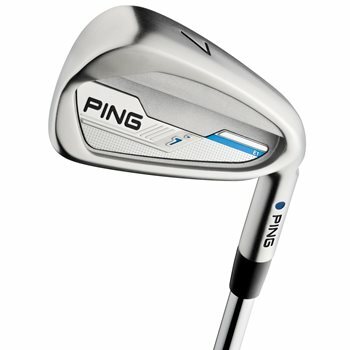 These Ping e1s are a great iron. I am over 70 and bought these to get away from GI irons with no feel. I have cut 5 strokes off my hndcp. in 4 months. I shot even on 9 holes which I have never done. I picked up 10 yards and my iron trajectory is over 33% higher. I go over trees instead of under them. Having a smaller profile has also improved my chipping. these irons will launch your ball higher than you used to. After doing loads of research and considering multiple options, I finally decided to purchase the i e1 irons from ping. I was coming from a set of Callaway X-18's and was looking to move into more of a players club. 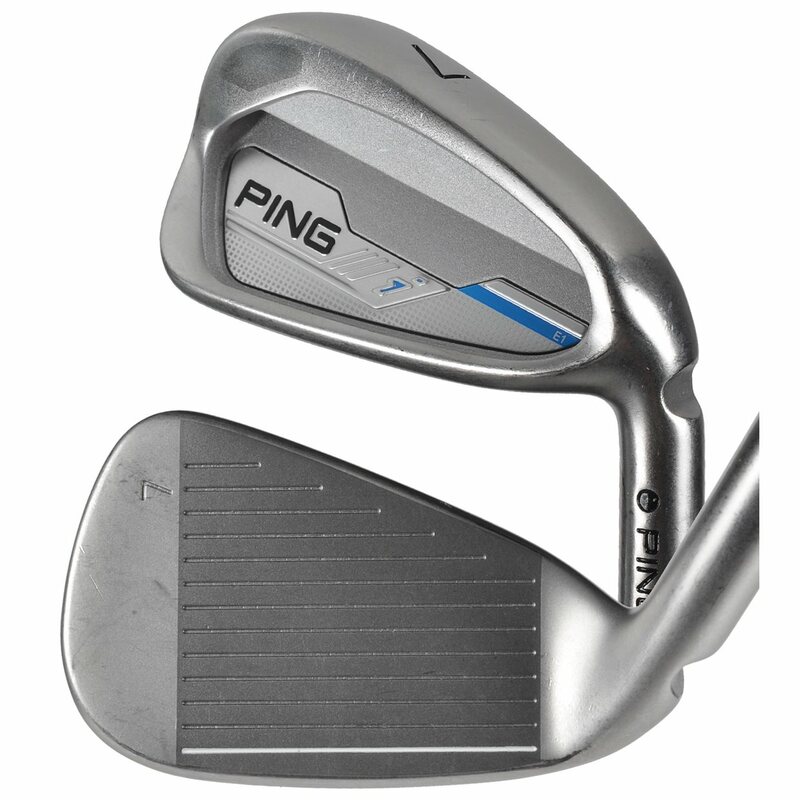 The pings seemed to be the perfect transition set, giving you the softer feel and workability of a forged players set but also with just a little extra help for the off center hits while you work to improve your ball striking. These irons have been great so far. It took a few rounds to get use to the players style (coming from a bigger, game improvement, forgiving type iron), but once I learned how to use them and got comfortable with them (and improved my ball striking), the results were well worth the work. These clubs will definitely let you know when you strike the ball anywhere but the center, but won't punish you as much as other players irons. When you do find the middle, they give you the nice soft feel and sound that comes with a great strike. I hit the ball noticeably higher with this set, which helps me gain some distance (along with them being about 1 degree stronger than my previous set) of around maybe 5 yards or so. Not to mention being able to navigate obstacles like trees (by hitting over them) or bunkers (landing on the greens with steeper decent angle). The spin is also great on this set, especially in the scoring irons (8-UW) allowing you to stick the greens and often spin it back. The extra workability you get with this style of iron is fantastic, being able to call shots and shape them how you need them is a thing of beauty. They look stunning. Clean sharp lines, compact head, thin topline and very little offset (which is great for me considering my natural shot is a draw so I get a little nervous when I see a ton of offset in a club) make these irons something to brag about and show off on the course. Botton line: They look great, feel great, and play great. I wouldn't recommend these to a high handicap player or someone looking for a lot of forgiveness, but if you are a mid to low handicapper (I would say 15 and below) with good ball striking and looking to move into a better players club, this set is perfect. It might take a few rounds to get use to the look and feel with less forgiveness,but once you do you'll be playing some great golf with these and feeling good about your game. I definitely won't be going back to game-improvement clubs for a long time. I will play these for a long time to come until moving to a true forged players set when I am comfortable with my ability (and can justify the increased price point of premium players clubs). Global golf was great and easy to deal with and the clubs came a few days earlier than promised, which is always a plus considering the excitement of new clubs! Great clubs, great buy, and great company! Purchased these in VG condition, and they were as advertised. One thing of note, some of the grips were different than the others, but wasn't a big deal for me as they were all in great condition. Clubs had a great feel and sound to them, and were lite weight. Recently played first round with them, and was able to crush the ball, while off center shots were still forgiving. Beautiful irons! They perform great as well. Can't go wrong with these.